Brussels, 15th February 2017 – Korys, together with the management of Ojah BV, announces today the acquisition of Ojah BV, a pioneer in the production of the latest generation of textured meat alternatives. Ojah’s innovative and sustainable approach to some of the most pressing challenges in the food supply chain proved to be a perfect match with Korys’ core values. Ojah BV, a Dutch company located in Ochten, was founded early 2009 with the ambition to commercialise a process of ‘texturing’ vegetable proteins by using a ‘clean label’ High Moisture Extrusion (HME) technology and succeeded exceptionally well. The Company reported a significant profitable growth since its inception. Ojah introduced its products to the market in 2010, opened its own production facility in October 2011 and has in the meantime developed into an important European player in the meat substitutes market. Positioned as a high quality ingredient supplier that is continuously innovating, the company can count on strong technical know-how and expertise. Ojah is widely recognised in the market as evidenced by numerous awards and accreditations, such as the award for most innovative SME in the Netherlands in 2012. Ojah produces textured meat alternatives and markets its products under the brand name Beeter® (domestic market) and Plenti® (international market). The products combine the taste and tenderness associated with that of high quality meat. They are gluten-free, 100% plant based (non-GMO), rich in proteins, low in fat and salt, high in fiber, containing 0% cholesterol. The products fit a healthy, modern lifestyle and contribute to a more sustainable food production chain. Korys, alongside the management of Ojah, is buying the shares of the existing shareholders, among which, PPM Oost, StartGreen and Holland Food Ventures. The investment meets the sustainable approach of Korys: Ojah is producing products that are aiming at the well-being of its consumers, is very much aware of its ecological footprint and tries to minimize and reduce this where possible. “Korys believes in the continuous growth of Ojah as an important player in the global market for alternative protein sources, which is expected to become increasingly important in the coming years. 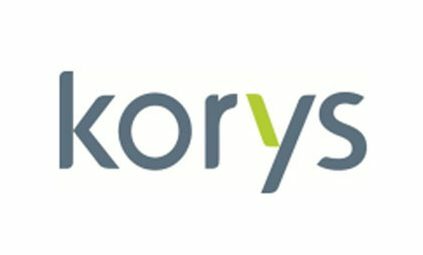 Our team will support the management on this growth path in order to realise a domestic and an international expansion” says Dries Crevits, Senior Investment Manager at Korys.